The Moved to Care project seeks to decentralize healthcare throughout the South East Asian region. 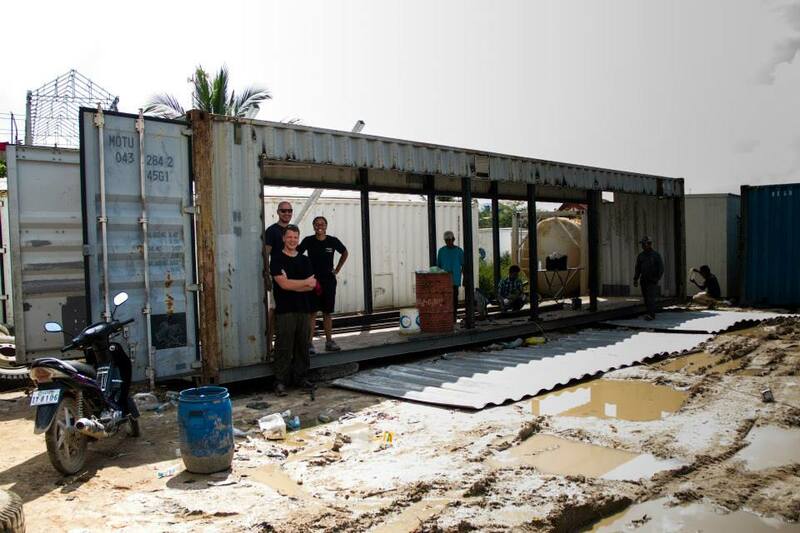 It provides small, relocatable, fully equipped clinics that can respond to changing needs whilst offering NGOs and government service providers a flexible, low risk way to deliver healthcare. 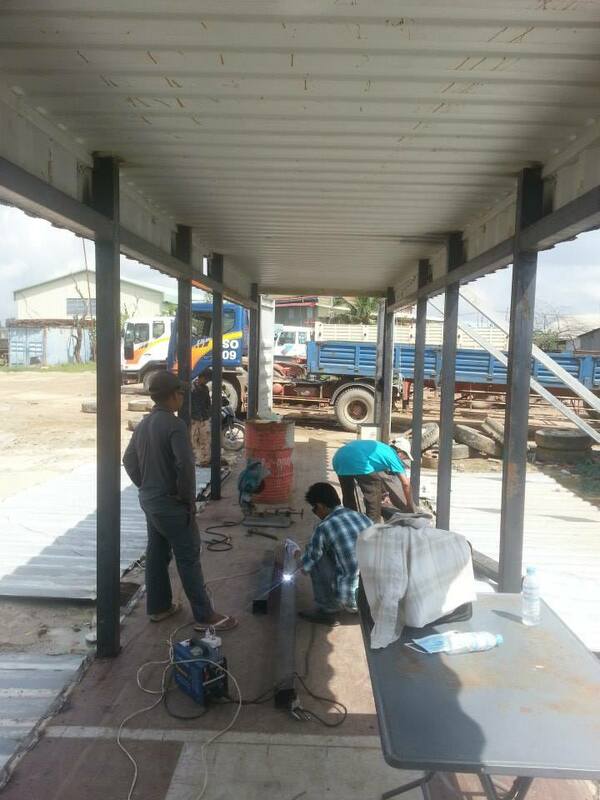 The design is the result of an international design competition held by Building Trust International and the pilot is currently being built in Phnom Penh, Cambodia. 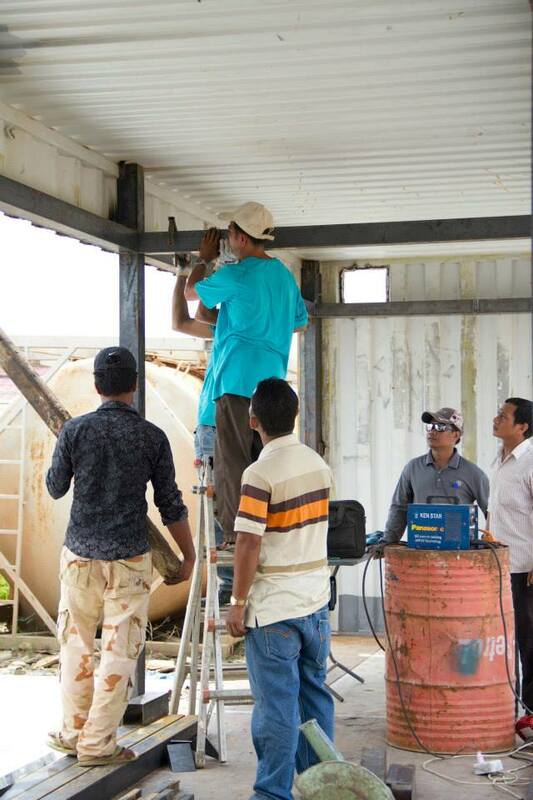 In October, the winning team from the Moved to Care competition came to Phnom Penh to kick start the build of their winning design. 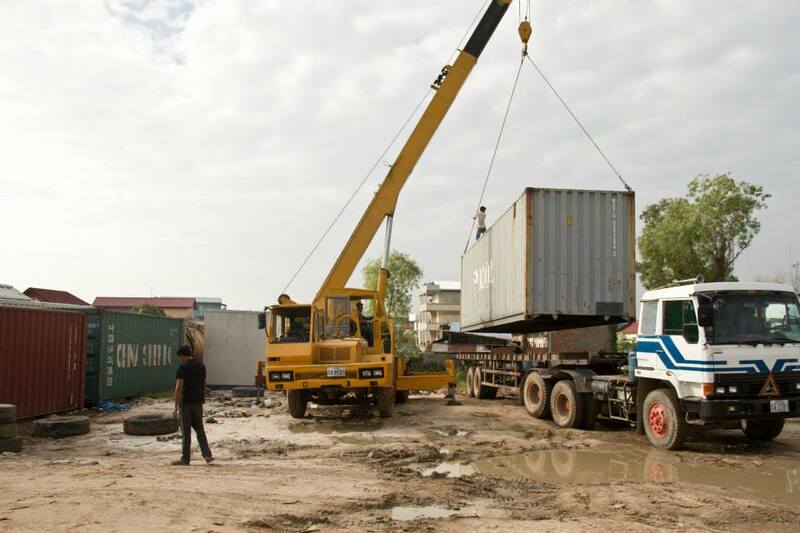 Choosing the correct container and moving it into position on site. Welding begins on site after side panels have been removed. 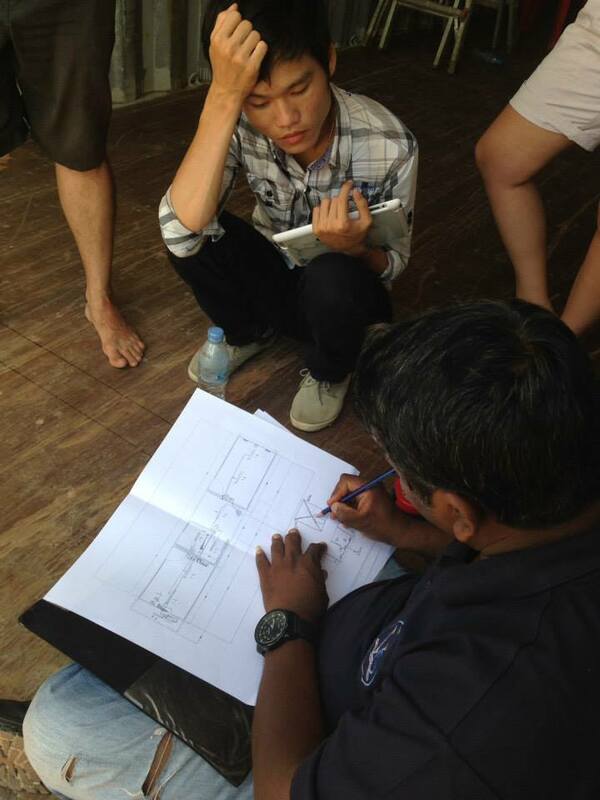 Discussing the design with contract manager William. Winners of the Moved2Care design challenge stand within what will be the latest in mobile healthcare.